Create a luxurious outdoor living space that will allow you to relax and enjoy the fresh air and sunshine. 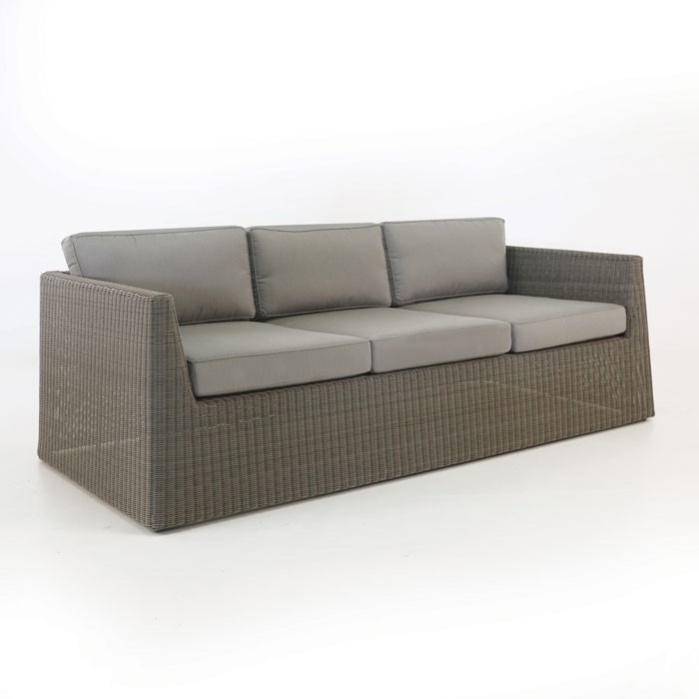 The Giorgio outdoor wicker sofa is the perfect combination of style, class and comfort. 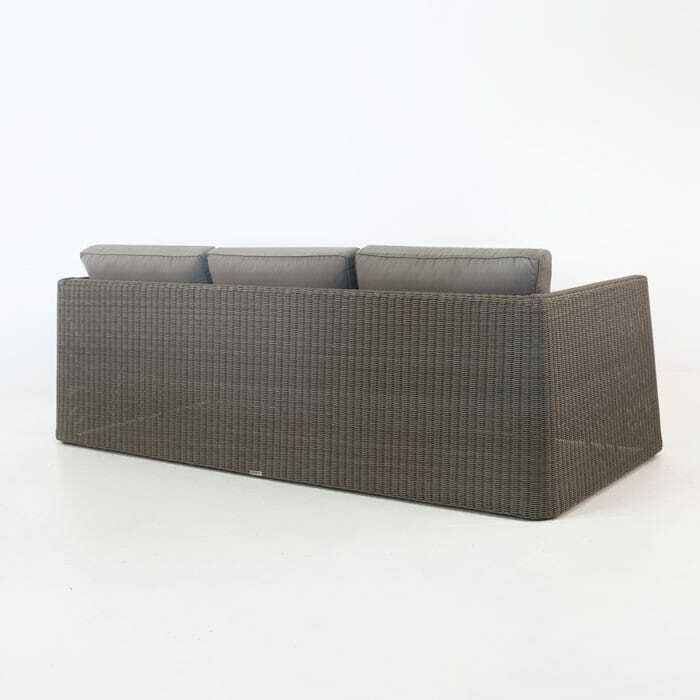 We combined outdoor wicker with a soft brown hue and natural texture with a modern shape to create a sofa that pleases many styles and tastes. Whether your style is modern, mid-century or traditional, we believe the Giorgio sofa has the perfect balance to suit your needs. 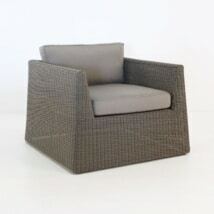 W88" x D40" x H28"
The Giorgio collection also includes a loveseat and a lounge chair. So whether you have a lot of space or just a small garden nook you can pick the pieces that work for you. The outdoor wicker sofa shown here is made with Kubu colored wicker. 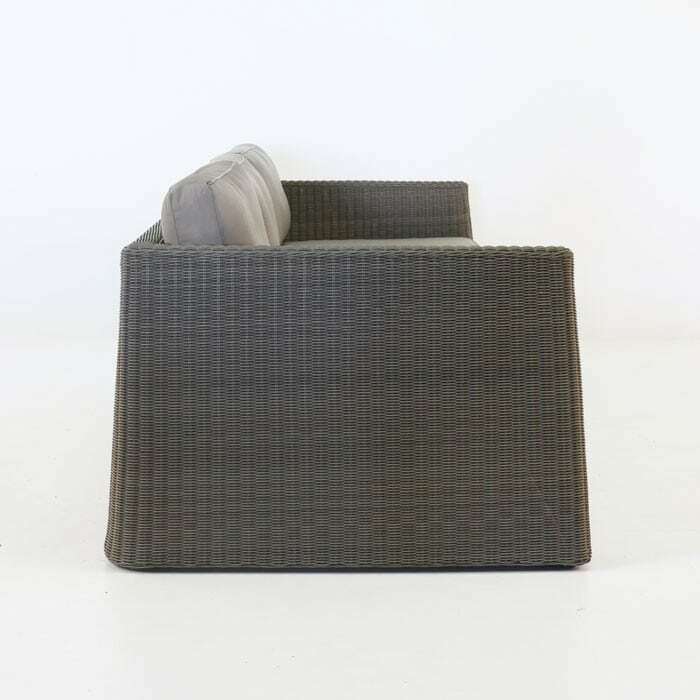 Kubu is a light brown and grey color that makes this sofa easy to accessorize and decorate. 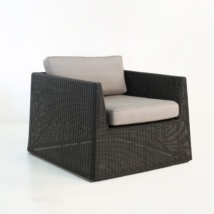 The Giorgio collection is also available in a black wicker. Call us today or visit one of our showrooms to start designing your outdoor oasis. We have many different styles to choose from all at wholesale prices.